Gone with the Windies – Can the Caribbean be saved? 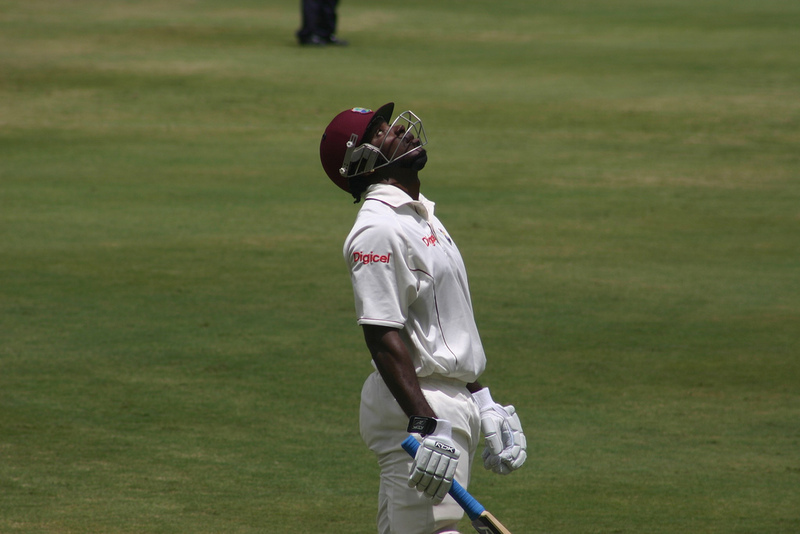 How can West Indian Cricket be saved and should we care? In the words of Yoda, ponder this we must. I think the short answer is yes. That much is clear. I remember 2 successful eras in the last 40 years. The Clive Lloyd era and the Richie Richardson era. In reality, it was one long era of sustained success. I can remember most of the names from those great teams. Clive Lloyd led probably the most successful team in the history of West Indian Cricket with names like Gordon Greenidge, Desmond Haynes, Viv Richards, Jeff Dujon, Michael Holding, Malcolm Marshall and Joel Garner. That side was so good, Gus Logie was a professional fielder. The team captained by Richie Richardson was almost as successful, but not quite, and was spearheaded by himself, Brian Lara, Carl Hooper, Courtney Walsh, Ian Bishop and Curtly Ambrose. It wasn’t even the dominance that they showed on the field so much as the way they played the game, although the dominance helped. Their performance in the field was relentless. This was also before Australia had lifted the bar in terms of fielding internationally. The Windies were the first side I saw hit the stumps regularly. Their fast bowling was even more relentless. Fierce and intimidating they rattled many sides out before the game had really even started. Many international careers were ended because of an inability to play the short ball (or in Kim Hughes’ case, an inability to shelve the hook shot). Their batting was outstanding, they attacked at every opportunity and they scored their runs at a cracking pace. Boundaries are taken for granted now as crowds are satiated on a steady diet of 20/20 and a lifetime of ODIs but before the Windies teams of the 70s and 80s, Test Cricket was played at a languid pace. More than anything it was their confidence that won fans over. They had an aura. In short, they changed the way Cricket was played. This is totally subjective. Cricket is more interesting when the Windies have a strong team. The Australia vs West Indies games of the 70s, 80s and 90s were iconic, lopsided at times, but iconic none-the-less. The same could probably be said for the West Indies vs all of the other Test playing nations of the time. The sad and continual decline of West Indies Cricket needs to be arrested. This is an extremely long winded way of saying only New Zealand is smaller. Population is by no means the determining factor of success (otherwise India would win every single match), but it can help, so statistics aren’t on the side of the Windies in that regard. Politics – Politics in Sport is hard enough but imagine trying to navigate the requirements of 6 different completely autonomous Cricket Associations themselves representative of 15 different countries/protectorates. Over the period of decline there have been 5 player strikes. The last strike was particularly damaging as it put off side arguably the most powerful Cricket Board in the World, the BCCI. Weakness of the administration – The damaging relationship between the players and the administration of West Indian Cricket is typical of the precarious administration governing West Indian Cricket. Over the period of decline (and quoting Tony Cozier again) there have been 8 Board Presidents, 11 Captains, 12 Coaches and 7 Chief Executives. The governance around Cricket in the West Indies is far from stable. Ironically, the latest rift between the Board and the Test team was over an attempt by the administration to arrest the decline. A comprehensive restructure of West Indian Cricket was implemented by the Board, which included institution of a full home and away schedule for the first class competition (instead of a single round of fixtures), conversion of each of the affiliated boards into franchises and minimum payments for centrally contracted players. Ironically, the latter point was the catalyst for the latest strike between the players and the Board which resulted in the aborted tour to India. Impact of other Sports in the West Indies – As the global reach of Sports like Baseball, Basketball and Football increase, this puts pressure on Cricket and playing numbers in the Caribbean. Not a great time to be underperforming. Impact of IPL – Heard a recent radio interview with Brian Lara who is in Australia for the World Cup. He was asked about the decline of West Indian Cricket. He said that the IPL was probably contributing to the decline in that West Indian Cricketers who were being well paid in the IPL weren’t as hungry to succeed on the World stage as a part of the West Indies set up. He said in his day (which wasn’t that long ago), West Indian Cricket was all they had. It was important that it succeeded. Today’s Cricketers didn’t have that same driver. Insufficient funding – The bottom line is that West Indian Cricket suffers from a chronic lack of funding. Facilities are poor (comparably). Young Cricketers just aren’t given the preparation or the training that young Cricketers from other countries get. Underprepared Cricketers receiving insufficient training will lead to commensurate performance. The current West Indian team isn’t devoid of talent. In fact, on their day they can beat most teams but on any other day they could lose to most teams. They lack consistency. Anecdotal evidence from the halcyon days of West Indian Cricket always mentions the recruitment by the English counties of West Indian talent and the benefits that the regular exposure to County Cricket provided. The IPL and the Big Bash isn’t providing the same benefits. At the end of the day only the West Indies can pull itself from this malaise. No-one else really can. That being said, other nations could help. Late last year I mentioned that the ACB should do its bit to help. I suggested an international challenge between Australian and the West Indies First Class Teams would help. The big issue is funding. A more equitable share of funding from the ICC is essential. This is the theory espoused by Scyld Berry in the Telegraph and I’m inclined to side with it. The far reaching impact of the financial decisions recently made by the power bloc of the BCCI, ACB and ECB (altered the ICC Constitution so the bulk of the revenue went to the Big Three) has a flow on impact to the other Test playing nations let along the Associate Members of the ICC. Ironically, they are the 3 countries which need the money least. If more funding could be funnelled into West Indian Cricket this malaise which now seems so entrenched will start to turn around. It will certainly help the WICB in its recent reform strategy. The recent improvements to the domestic Cricket in the West Indies is to be applauded. Providing a base income for First Class Cricketers to make a living is essential. Extra funding could possibly start to heal the wounds between the Test team and the WICB. If the ICC don’t take a broader World view then Australia will end up playing England and India in a never ending tri-series. The rest of the World will be playing Football. Bunnies vs Roosters – Super, super game. One of the commentators mentioned the game was of State of Origin quality. Given 11 players on the field had played Origin and 13 of the 23 other players are (or have been) internationals I think that might be why. Illegal targeting of JT. The NRL needs to take a leaf out of the NFL book and ban late hits against playmakers (or anyone for that matter) with in-game (just what is the sin bin for these days) and out of game sanctions. They’ve clamped down on fighting, spear tackles and crusher tackles. They need to protect the playmakers. The knockout rounds of the Cricket World Cup are finally here. Yay. DCE – Tries – 0, Run Metres – 100m, Try Assists – 2, Tackle Breaks – 5, Tackles – 19, Offloads – 3, Line Breaks – 2, Line Break Assists – 1, Errors – 1, Penalties Conceded – 1 and People who still think he’s going to mail in season 2015 – 0. Jordan Kahu (Broncos) for George Jennings (Panthers) – Cashing in my cash cow now that Josh Mansour is back from injury. Kelepi Tanginoa (Cowboys) for Lachlan Burr (Titans) – Tanginoa has some definite Taumalolo potential and Lachlan Burr made way for the Cocaine 5 (sounds like a new boy band). BTW, how hard is it not to keep using your trades. Resisted the urge to trade Robbie Farah. He will bounce back. Bobby Zamora (QPR) for Danny Ings (Burnley) – Some salary dump action. Forster (Southampton), Clyne (Southampton), Ivanovic (Chelsea), Terry (Chelsea), Sanchez (Arsenal), Eriksen (Spurs), Downing (West Ham), Hazard (Chelsea), Cazorla (Arsenal), Kane (Spurs) and Austin (QPR) with Hamer (Leicester), Zamora (QPR), Bruce (Hull) and McShane (Hull) on the bench. This entry was tagged Australia, Cricket, England, EPL, Football, New Zealand, NRL, Rugby League, Soccer, West Indies, World Cup. Bookmark the permalink.